Part of the post glacial great lake sand shoreline/low dune that extends from Alpena south to Black River. It is thought at one time the large sand deposit diverted the river southward through Devil's Lake. 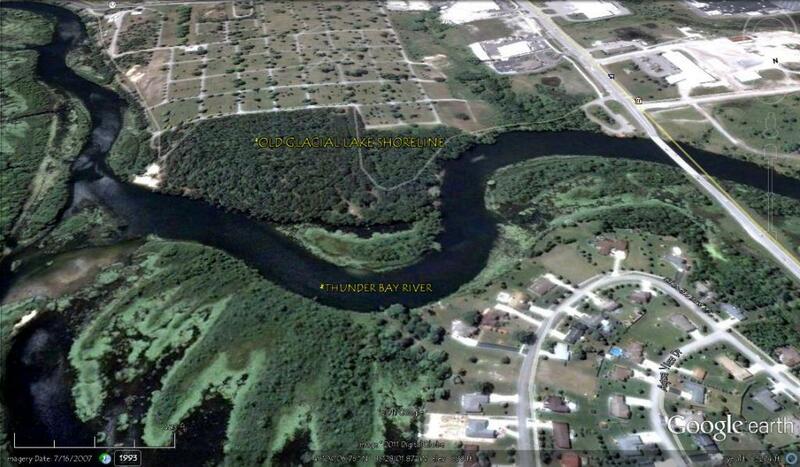 Eventually the river cut through the sand dam and cut a shorter route to Lake Huron. The cemetery is located on the coastal sand deposit. Hobbs Road and Piper Road run along this old shoreline.